Back in 2014, the New York Federal Reserve claimed that 86% of students choose higher education for better job prospects and, rightly so, making more money. The situation is not that different today, but the diploma itself won’t catapult you into a dream job with sky-high income. Your student loan debt (if any) and the merciless job market have the upper hand today. With the fierce competition and employers valuing experience, it makes sense to arm with all the weapons and think of landing your first job before graduation. It’s a perfect way to get experience as well as insightful information on your career field. Paid internships allow students to make professional connections and grow them for developing a successful career. Employers find it valuable in potential hires, so once the opportunity turns up – complete one or more internships while in college. It may result in a job offer after your graduation or at least help you learn the field better and decide if you want to stay here or switch your career path drastically. Visit a career office of your college or university and meet a counselor to develop your plan of action for gaining work experience. They often have networking contacts, job leads, and offers to hire you into a part-time position somewhere in the campus. Also, join some on-campus clubs and social groups to lead or participate in their activities. 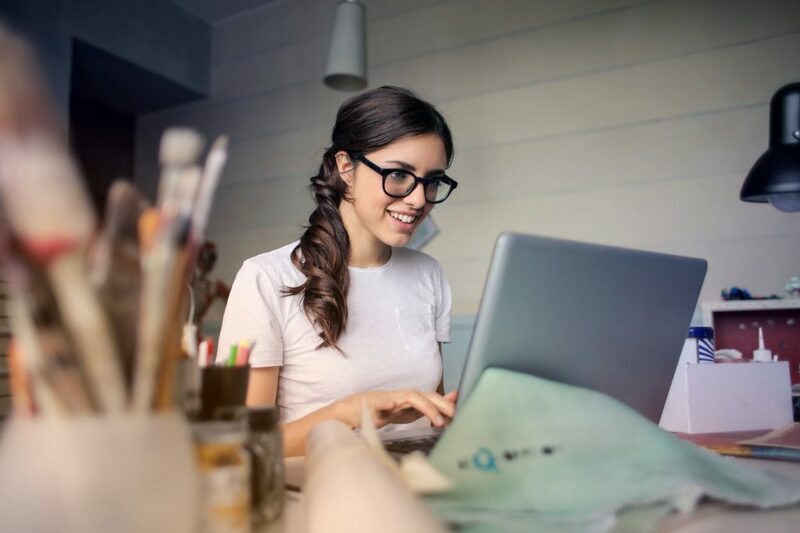 Believe it or not, such a practice can influence your career: administrative and management skills you get while working there, personal and professional connections, new areas of interest – all these will come in handy regardless of your major. This experience is worth mentioning in your resume, especially if you hold a leadership role in the club. Regardless of your major, there’s something you can do best: academic writing. Use these skills to get a freelance writing job before graduation. Many companies hire creative writers to craft content assets for their websites, and many blogs look for regular contributors of comprehensive articles for their publications. For instance, you are welcome to apply to write essays with Bid4Papers or visit your favorite blogs to check if they have slots for unsolicited writers like you. Travel and relax from college is great, but why not combine them for gaining work experience in summer? Decide on a job type you want (or need) to do, analyze your skills (what you have to offer an employer), craft a resume, and consider all available resources to land a summer job before graduation. Even if you can’t find a job by profession, the experience you get will help to prove your responsibility in the eyes of your future employers. Summer job opportunities are many: local stores, hotels and resorts, government summer job programs, small business or corporate offices looking for interns, fast food or restaurants in constant search of staff, and more. If time and skills permit, start and run your own small business before graduation. Student entrepreneurs are a fact of life today, and some of your peers have brainstormed business ideas and created detailed business plans already. Not sure where to start? A hobby can become a source of stable income if you think a bit on all necessary arrangements and their strategic realization. Big chances are you won’t be paid or academically credited for this job, but it still can offer many benefits for your future career. Volunteering helps to gain experience and network contacts, allows you to understand social problems better and demonstrate a commitment to the community, and provides with credible recommendations for your future job. Volunteering experience is highly valued, as it proves your personality traits such as responsibility, flexibility, multitasking, effective communication, and other soft skills most employers are looking in candidates today. You can ask a college career center for volunteering opportunities or find local non-profits on your own. Sure enough, it will be your part-time job because of the need to combine work and study. And yet, it’s a nice opportunity to earn extra money and acquire professional skills. Depending on your major, try to find a part-time, entry-level job in your field so you could mention it in your resume afterward. Brand ambassador, SMM specialist, marketing or software engineering intern, graphic designer, administrative assistant – these all are great variants to try. But even if you find a job that won’t meet your field, it’s still a great place to develop extra skills for your future career path: conflict resolution, customer service, marketing, planning, and more. These jobs will hardly become a mean asset on your resume, but they can bring you extra money with no need to spend time at offices. Car or home sharing is your option if you have an extra room in the apartment or if you are ready to lease a vehicle. Also, you could become a delivery driver to local restaurants or drive over your peers, as a minimum. Another option for you to get some extra cash while studying is a child or pet care. You can control your work hours, and salaries are relatively high here. Surf the web for local websites to register and offer your animal care or babysitting services to those in need. A perfect opportunity for students to get a job before graduation is to start a career within the walls of their universities. Positions such as library assistants, research assistants or participants, campus tour guides, or college cafeteria workers will give a chance to interact with people, develop customer service and communication skills, and get new knowledge outside of your major. Depending on your field of expertise, options are different here. You can become a private tutor for peers, a part-time teacher on campus, a nonprofit educator for after-school programs, or a freelance tutor at some online courses. Also, teaching can help you grow own knowledge and skills to meet competition when the time comes to enter a job market after graduation. As you see, options are many. The extra cash will be of use for paying back a part of your student loan or any other expenses you might have in college (tuition, insurance, accommodation, etc.). But other than money, you’ll get valuable experience to write down in your resume; you’ll learn to spend money more wisely; and you’ll become a more self-confident and responsible person for your happy future.